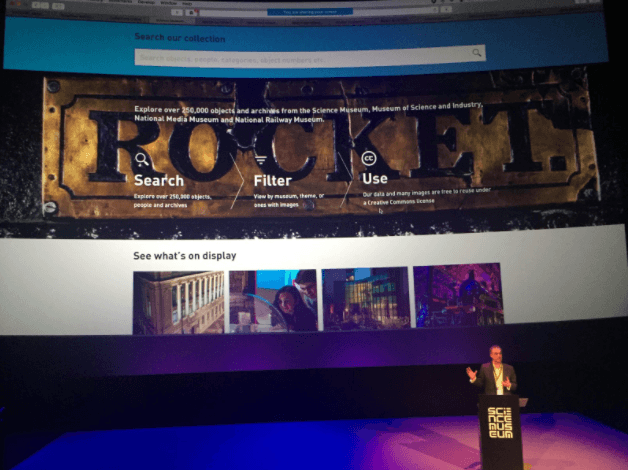 With a century and a half’s worth of data on objects, inventors, and archived documents, creating a public-facing portal for the Science Museum Group’s (SMG) archives was as much about making the search results engaging as available. But the real challenge was around working without control over the data itself (which was still being cleansed and homogenised), or direct access to the Elasticsearch database managed by a 3rd party! With a wealth of information to be made accessible to the public, starting with a workshop with SMG and their designer was essential to understanding how to give users the results they needed in a clear and engaging format. We used these insights and an iterative approach to features to develop a search portal that was fast, granular, but also contained enough interactive features to keep casual users interested. We learned from users and stakeholders, making improvements across multiple sprints and engagements. Lacking access to the database meant working with and around a busy 3rd party, planning and replanning when their deadlines were not met. This didn’t faze us! We developed a seriously fast search solution that was powerful and intelligent enough to provide weighted related items in addition to direct search results. The RESTful developer API was then created and extensive documentation made available in a Github Wiki. Although our API development time was squeezed due to some excellent user requests for the public facing site, we got excellent feedback from the community at our ‘trial by fire’ at the Science Museum Hack Day! 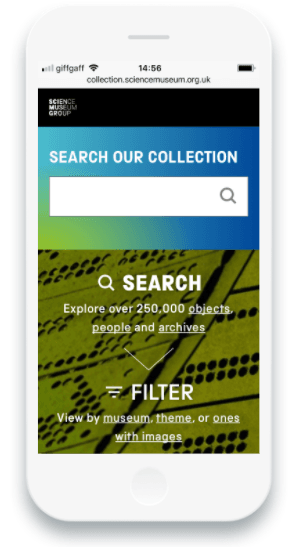 A search website, making all of the Science Museum Group's data and artefacts accessible to the public complete with detailed filtering, images and pagination.